Bay windows are a great choice for increasing light in an area, making a room appear larger and adding interest. They normally consist of a large picture window with two smaller angled windows on each side of the picture window. Bay windows are normally placed in parts of a home that look out over attractive scenery; however, since they provide little in the way of privacy, it is not common to find them facing roads. The two types of bay windows are box bay windows and full bay windows. Box bay windows are generally found in smaller homes, and they are normally installed just below head height and form a box that extends out of the side of a home. Full bay windows are much larger, can add square footage to a home and are frequently used as a window seat. Like anything else in your home, windows will need replacement eventually. In addition to replacing windows that are damaged, you may also want to put new windows in to improve the energy efficiency of your home or reduce outside noise. There are a variety of new glass options that can limit the amount of light, noise and heat that come through windows. Some of the most common signs that it is time to replace your windows are when you notice that your window frames are in poor condition or if you notice drafts, even when your windows are closed. Window frames can chip or develop rot over time, and while frames can sometimes be repaired, replacement is often necessary. If you have glass with multiple panes and see condensation in between the panes, your window glass needs to be replaced. 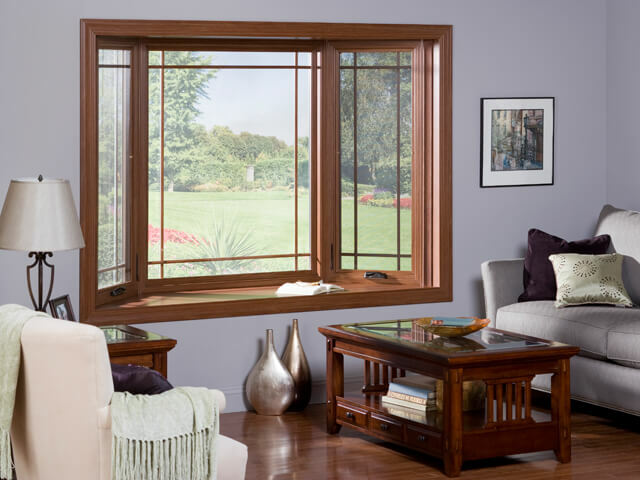 Even if your windows appear to be in good shape, you may still want to have new windows installed to reduce noise in your home and lower heating and cooling costs. Older window glass often has only one pane, which allows sound and heat to easily travel through it. New window glass often uses multiple panes that can reduce both noise and heat transfer. Reducing heat transfer can keep a home cooler in warm months and warmer in cold months, which can lower your power bills. You may also want to consider glass with Low-E coatings that can filter ultraviolet rays, which can cause furniture and carpets to fade. For more information about window replacement and repair services in New Jersey, get in touch with us at Window & Door Outlet. We can help you figure out if you need window repairs or a replacement, and we’re happy to provide free estimates.